Macmillan Coffee Morning Success 2016! Move aside Great British Bake Off! 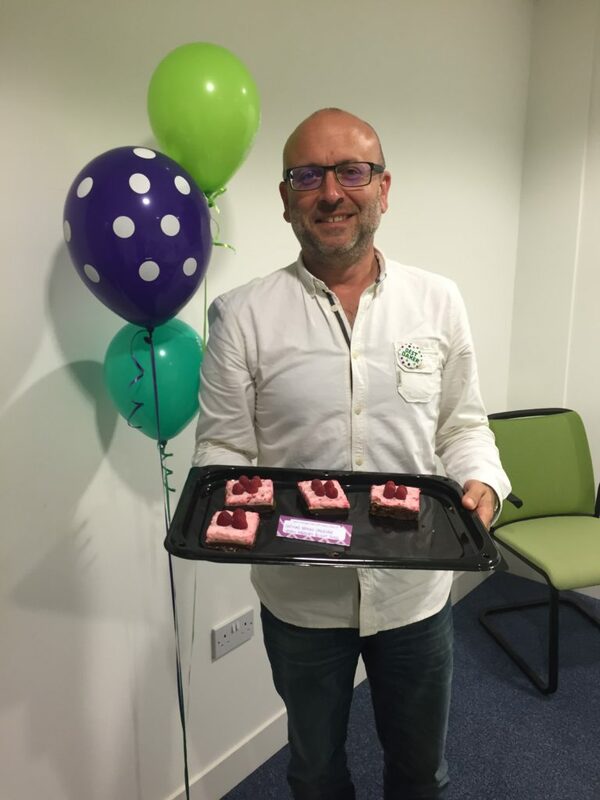 eos hosted our second Macmillan Coffee Morning on Friday 30th September 2015 which was an amazing success! The Conference Room was bursting with scrumptious cakes which all went rather quickly! We would like to thank all of our guests for their kind donations which raised £121.32 towards Macmillan Cancer Support! Roll on Macmillan Coffee Morning 2017! Congratulations to our Star Baker of the day – Steve – who made the most delicious brownie/cheesecake/raspberry ‘thing’ as picture looking very proud of his creation!